The path that brings children to reading and successful learning begins at birth and even before-- at home, in families, and in communities. 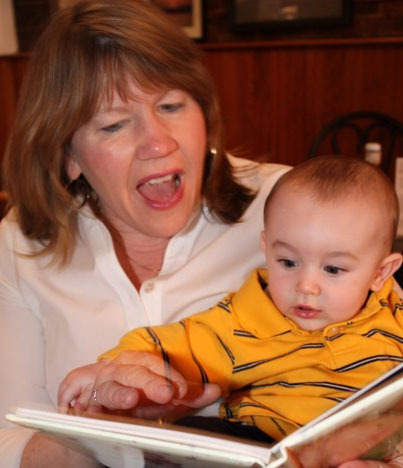 Children’s Reading Connection (CRC) is sparking a movement to seed that path with beautiful high-quality books and an abundance of loving words for all children throughout their communities, beginning at birth and even before. Children’s Reading Connection was created in 2017 to act as a connector, convener, catalyst, and collaborator--collecting, developing and sharing quality literacy resources and models to strengthen the literacy efforts of communities, libraries, organizations, and schools. CRC is committed to changing systems. We multiply impact by partnering with others to create initiatives that promote the power and joy of talking and reading to babies and children; place books into the hands, homes and hearts of children and families; by developing an online platform for organizations to find ideas and inspiration for their own efforts; by providing guidance to communities on creating a culture a of books and reading; and by connecting literacy advocates with each other.